As the recent QLReddit 2v2 tournament we had was a great success, we are organising another duel tourney. The tourney is open to anyone. There are currently no prizes, although is may change. Anyone is welcome to stream the games (especially participants! ), so long as the players don’t mind and you let an admin know. 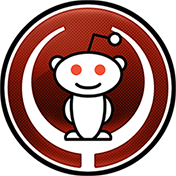 If anyone would like to help, in any way, then contact CrazyAl in #qlreddit. 23rdNovember, Check-in opens at 13:00 CET, tourney begins at 14:00 CET. Double elimination. Winners bracket matches are BEST OF THREE. Losers bracket matches are BEST OF ONE. Final match is BEST OF FIVE. Must have a QL account older than one month. Winner of cointoss chooses who picks/removes first. Bo1: Players remove until one map remains. Bo3: Both players pick one map then remove maps until one tie breaker map remains. Bo5: pick, pick, pick, pick, remove, remove, final map decider.